It’s been a little over a week since Prince Harry and Meghan Markle announced their engagement and though we have to wait until Spring 2018 to see the big day, we’ve already been fawning over the ring. While Meghan’s engagement ring reportedly cost $60,000 (yikes! 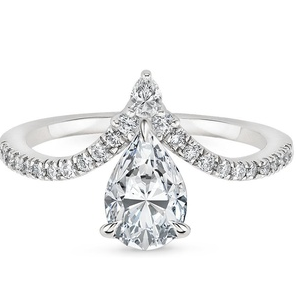 ), you can virtually try on her diamond ring via a website. And if that’s not good enough, you can even get your hands on an affordable replica for just 40 bucks. 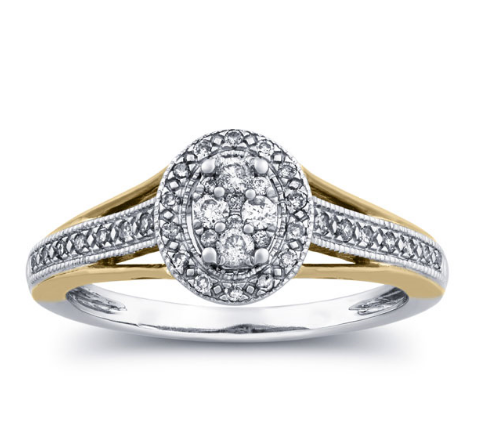 But if you’re still on the hunt for that one engagement ring that really speaks to you, one that fits this wintery time of the year, the engagement rings below have you covered. They range from classic and dainty to in-your-face stunners that are sure to turn heads and maybe even illicit some major jealousy from some ice queens. This is like wearing an iceberg on your finger! 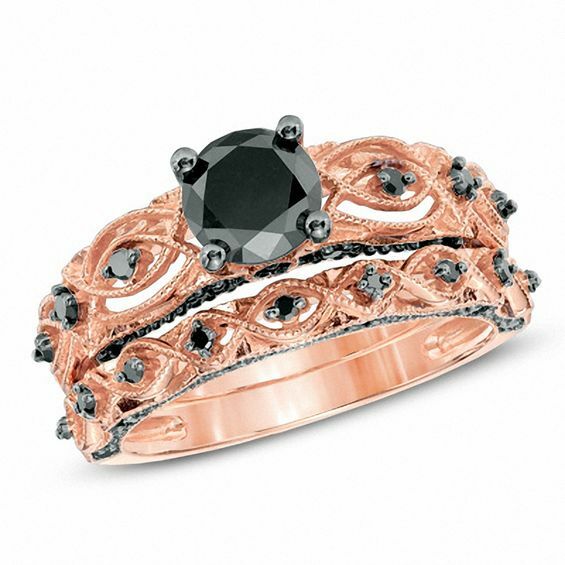 You’re guaranteed to have a standout engagement ring with this rose gold and black diamond stunner. Perfect way to brighten up those dreary, dark winter days. It’s less than $400. That clearly means more money to spend on pumpkin spice lattes, which you can sip while staring at your ring. 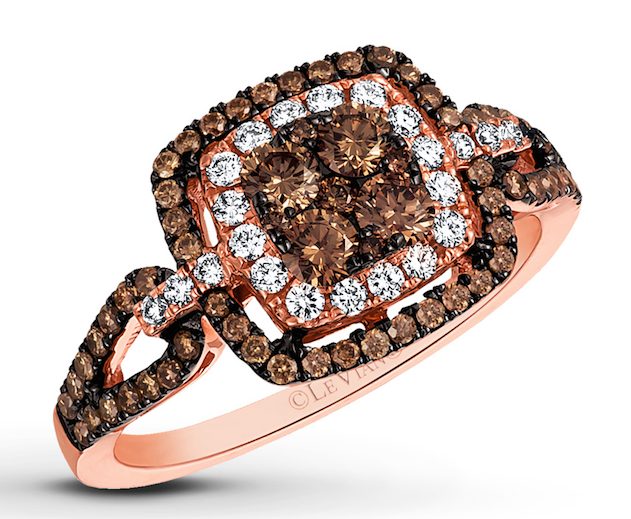 Last year you asked Santa for chocolate in your stocking, but these chocolate diamonds are even better. 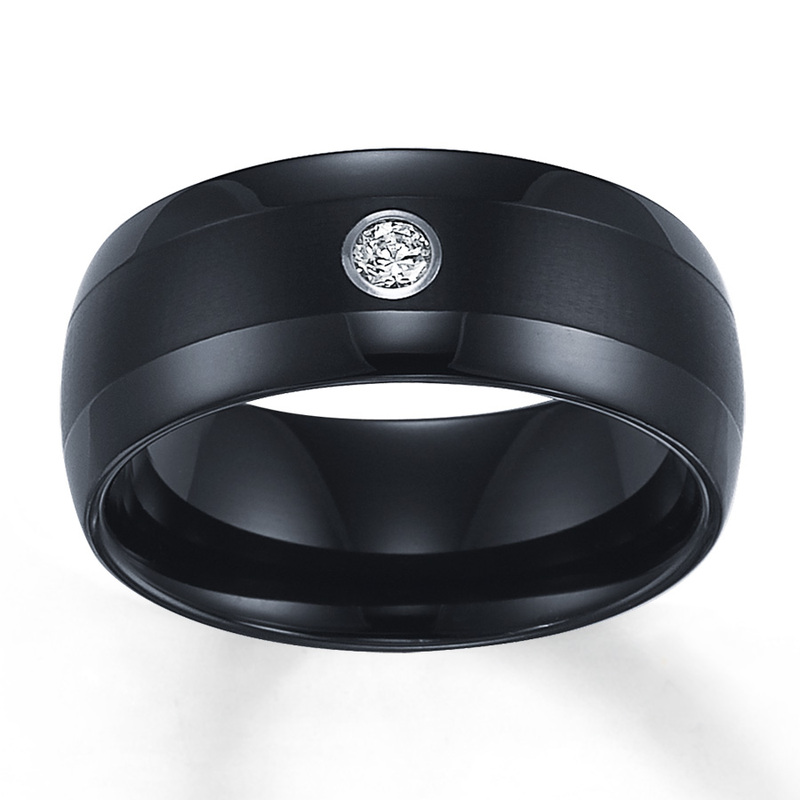 It’s designed for a guy, but why can’t it be for a woman who loves the edgy style? The flat diamond and fuss-free style means it won’t get caught in your gloves or mittens. If your winter style is more casual chic (flat boots and a sweater dress! 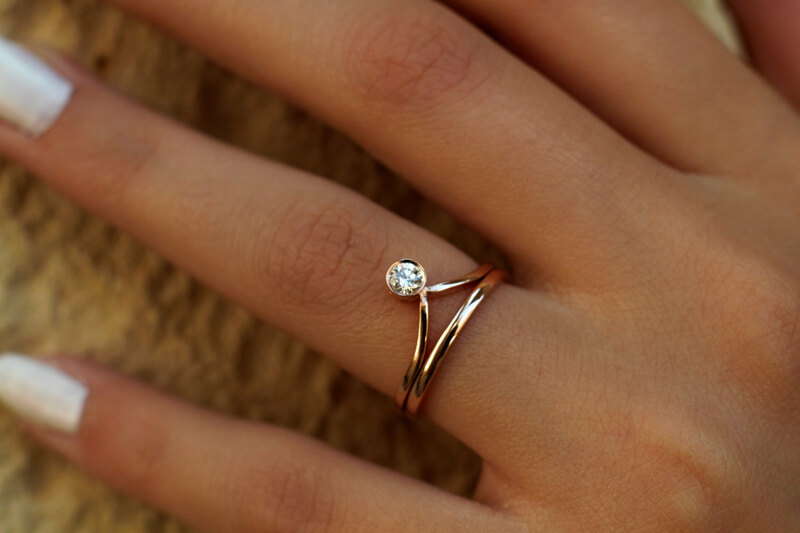 ), then this dainty and sweet ring is for you. 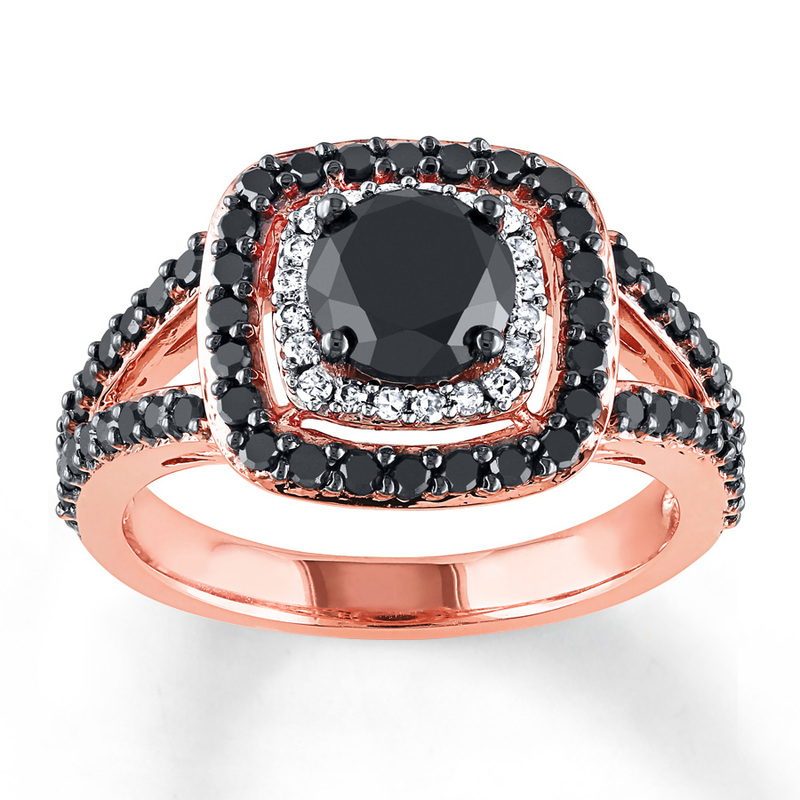 Winter is coming and these regal black diamonds are fit for a Khaleesi. 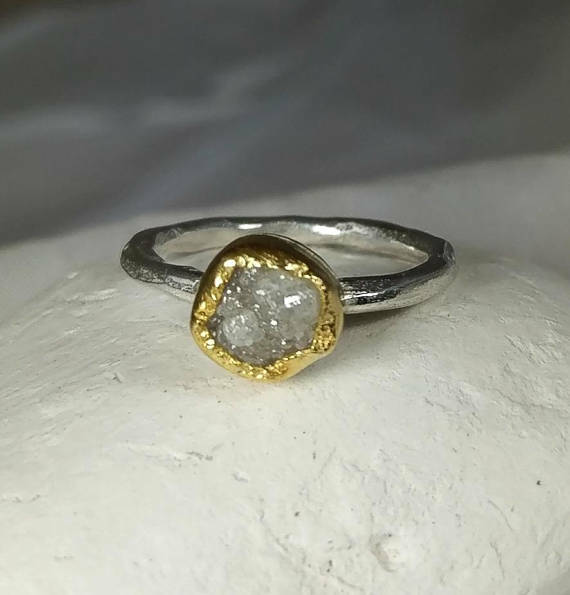 The handmade ring is perfect for the bride-to-be who craves the unique look. Doesn’t the stone look like a perfect ice crystal? 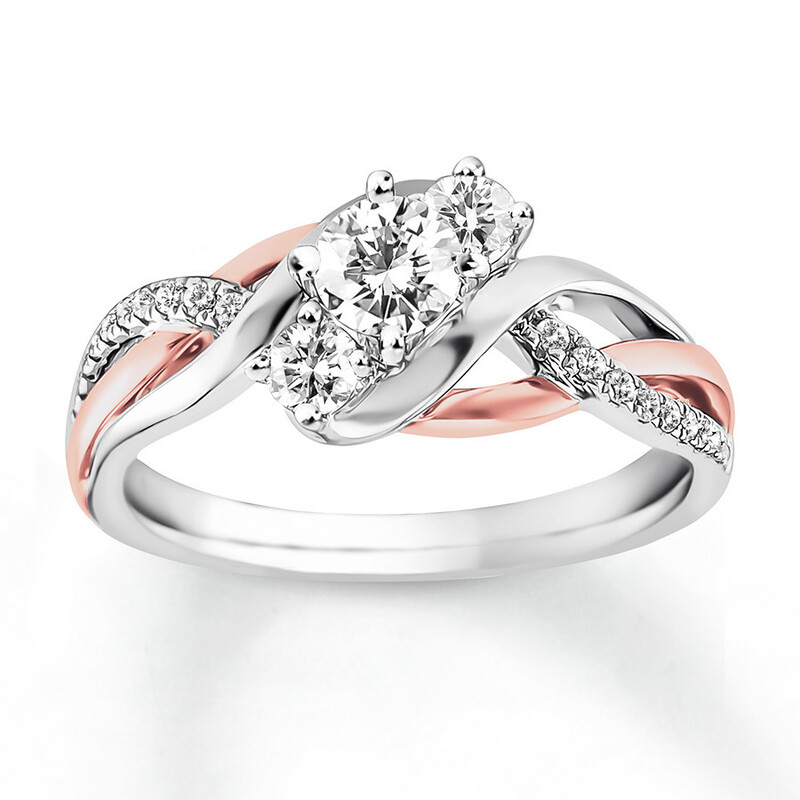 Rose gold and white gold met to create this beauty. The neutral style makes it perfect to pair with any holiday look, from smooth velvet to bold brocade.